We're celebrating our 20th Anniversary. 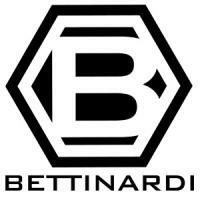 December 10th, 1998 was the day Robert J. Bettinardi decided to put his name on the back of his putters. His mission then remains the same it does today, to provide our loyal customers in the United States and in the 40 countries we sell to around the globe the finest golf equipment and the highest level of customer service in the industry. Bob and Sam’s promise to continue using the best materials available including premium American Steel, American ingenuity, and craftsmanship that ensures zero defects will continue to be our standard and expectation. We look forward to an exciting 2019, following our 80th Worldwide Tour Win this year. Be on the lookout for special 20th Anniversary products and accessories starting next year! Thank you to the best customers in golf!